Genuine Yamaha YZF-R1 Roller Protection Kit. 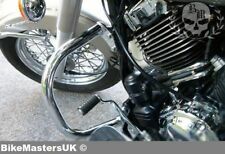 The Rear Crash Bars Yamaha XVS 1300 Midnight Star will fit ALL AGES. The Rear Crash BarsYAMAHA XVZ 1300A ROYAL STAR will fit ALL AGES. PW50S (3AP) PEE-WEE 1988. PW50 G 1986. PW50 H 1987. 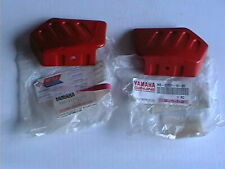 THIS IS A PAIR, 1x LEFT-HAND 1x RIGHT-HAND, OF GENUINE YAMAHA SIDE COVER PANELS, FOR MODELS LISTED BELOW. DISCONTINUED FROM YAMAHA. PART NUMBERS 6 & 7 IN LINE DRAWING. ALL COMPONENTS ARE MADE OF MODERN TECHNOLOGY (LASER, CNC, TIG, ETC. ), INCLUDING WELDS POLISHED TO A HIGH GLOSS (INDISTINGUISHABLE FROM CHROMIUM). IF NECESSARY FOR ASSEMBLY AND CAN NOT USE THE ORIGINAL. THE STAINLESS STEEL CRASH BAR ENGINE GUARD YAMAHA XV 535 VIRAGO WILL FIT MODELS ALL YEARS. IF NECESSARY FOR ASSEMBLY AND CAN NOT USE THE ORIGINAL. If necessary for assembly and can not use the original. PUIG CRASH PADS R12 MODEL FOR YAMAHA YZF-R6 YEAR 2004 COLOUR BLACK. TRACER 900 GT 2018-19. TRACER 900 2015-2019. GENUINE YAMAHA GILLIES REAR Axle Protection Kit. REAR FENDER EXTENSION PUIG FOR YAMAHA YZF-R1 YEAR 2016 COLOUR MATT BLACK. Made of ABS Plastic. 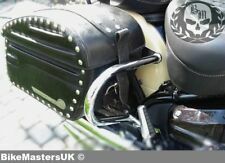 This useful accessory will allow you to extend the rear fender and protect your motorbike from spray, mud and stones. REAR FENDER EXTENSION PUIG FOR YAMAHA YZF-R1 YEAR 2017 COLOUR MATT BLACK. Made of ABS Plastic. This useful accessory will allow you to extend the rear fender and protect your motorbike from spray, mud and stones. 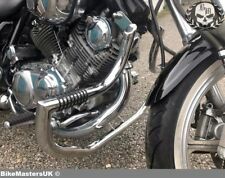 THE STAINLESS STEEL CRASH BAR ENGINE GUARD YAMAHA XV 750 VIRAGO WILL FIT MODELS ALL YEARS. IF NECESSARY FOR ASSEMBLY AND CAN NOT USE THE ORIGINAL. REAR FENDER EXTENSION PUIG FOR YAMAHA MT-07 YEAR 2018 COLOUR MATT BLACK. Made of ABS Plastic. 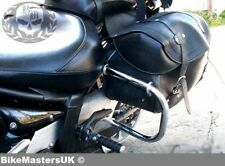 This useful accessory will allow you to extend the rear fender and protect your motorbike from spray, mud and stones. 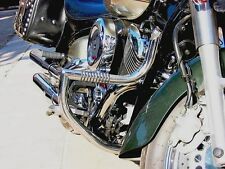 THE STAINLESS STEEL CRASH BAR ENGINE GUARD YAMAHA XV 1100 VIRAGO WILL FIT MODELS ALL YEARS. IF NECESSARY FOR ASSEMBLY AND CAN NOT USE THE ORIGINAL. The Rear Crash BarsYAMAHA XVS 1100 DRAG STAR (VSTAR 1100) SILVERADO will fitmodels ALL YEARS. GIVI SLIDER FITTING KIT PART NUMBER: SLD2139KIT. GIVI SLIDER FITTING KIT FOR MOTORCYCLE MODEL: TRACER 900 - TRACER 900 GT. 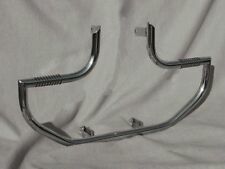 The Front Crash Bars Yamaha XV 1900 Raider will fit ALL AGES. All components are made of modern technology (laser, tig, etc.). 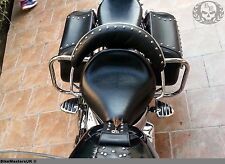 The Rear Crash Bars Yamaha XV 1600 Wild Star will fit ALL AGES. 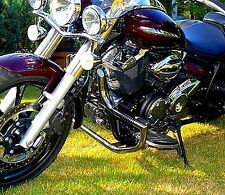 THE STAINLESS STEEL CRASH BAR ENGINE GUARD YAMAHA XVS 950 MIDNIGHT STAR WILL FIT MODELS ALL YEARS. IF NECESSARY FOR ASSEMBLY AND CAN NOT USE THE ORIGINAL. PUIG CRASH PADS MOD. R12 YAMAHA FJR1300A/AS 2014 BLACK. PUIG CRASH PADS MODEL R12 FOR YAMAHA FJR1300A/AS YEAR 2014 COLOUR BLACK. Equipped with a black nylon body and a grey rubber pad. Internal part and brackets made of steel, screws kit included, sold in pair. A cardboard, circulation of 14,000, sold. available in white and black for the year 1977 to 1986. You asked for them, they are finally available for sale, in line with the original. GENUINE YAMAHA BILLET ENGINE COVER - TMAX / TMAX DX 2017. Features the TMAX logo. This genuine Yamaha Engine Cover boasts the following features Cover to replace the original engine cover for a high-tech look. Evious Tracer 900 2015 - 2018. Tracer 900GT 2018Next. We currently have for sale this genuine accessory rear axle protection kit to fit. Kit containing high-quality finished components to protect the rear axle ends. The price per set: guard plus mounting bolts. The price per set: right and left guard plus mounting bolts. GIVI TN347 ENGINE GUARDS. GIVI PART NUMBER: TN347 8019606083050. GIVI COLOUR: BLACK. HIGH QUALITY CRASHBARS FOR YAMAHA TDM900 02-12. engine crash bars for YAMAHA TDM900 2002-2012. black colour. corrosion resistant powder coating. PUIG CRASH PADS R12 MODEL FOR YAMAHA XJ6 DIVERSION YEAR 2012 COLOUR BLACK. With a black nylon body and a grey rubber pads. 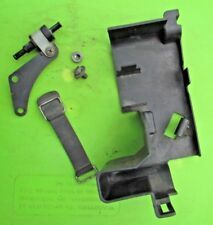 Internal part and brackets in steel, mounting kit included, sold by pair. For a correct installation there is no need to pierce the fairing. 600 DIVERSION.